Investing in the stock market can be a daunting and overwhelming task. There are many moving parts to think of and you’re about to put some of your money into it. There are stocks, bonds, and mutual funds, to name a few investment choices, yet you don’t know what suits your investment needs. This can result in many questions to answer as you look to grow your money and move towards the financial freedom that can be possible through doing so. The best place to find these answers is through determining your risk profile. While this may seem like a time consuming and difficult task, it doesn’t have to be. The wide array of investment choices may cause you to feel overwhelmed as you wade through the possibilities, especially as you’re formulating a beginning investment strategy. You can be as aggressive as you want or as conservative as possible. 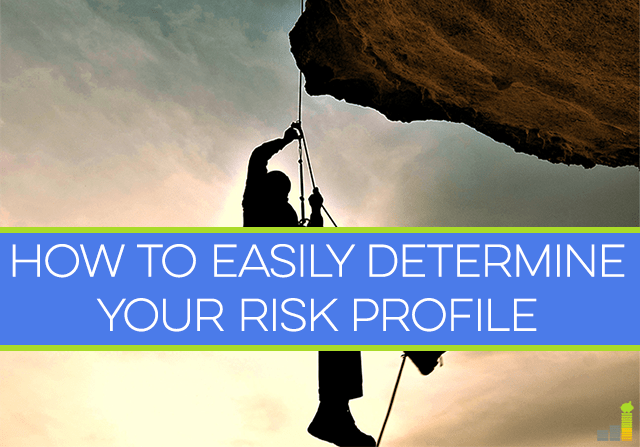 If you don’t fit on either of the ends of the risk profile spectrum, there are many possibilities in between. That is where most people find themselves. The key is to put your money into something you’re comfortable with. That’s why determining your risk profile is so important, so you’re not invested in something you normally would not be. This is taking the stop orders I’ve discussed in previous posts to the next level. Not only are you looking at how much you’re comfortable with losing on an investment, but how long it is until you need the capital from those investments. Generally, if you’re closer to retirement, you’ll be less comfortable with losses and looking for some security. If you’re just starting investing and have decades until retirement, then you’ll generally be more comfortable with losses and taking on more risk. Of course, this is all dependent on you and your specific needs and goals. Thankfully, there are painless tools available to help you think through all of these questions. Your risk profile is not a static situation, but is one that changes as your circumstances change. Anything from a new job, to a new addition to the family, to aging can have an impact on your risk profile. It is something that needs to be and should be monitored over time. Consider returning to it annually as part of your rebalancing plan, unless changes dictate otherwise. Determining your risk profile does not provide a panacea for your investments, rather a tool by which you can help formulate your investment strategy. Use it wisely, along with other tools, to formulate a strategy you’re comfortable with and that meets your needs. I would say my wife and I have an aggressive profile, as most 20-somethings most likely do. We have a long time before retirement, so we can take a few highs and lows at this point. With that being said, I see the value in building up a cash reserve/emergency fund that will allow us to have a buffer against investment losses. I agree DC. Building up the E-Fund or cash reserve is a big plus. I tend to be pretty aggressive myself as well. Good post. We are way too conservative and that is always something that I am worried about. Food for thought. Thanks Holly. Being conservative can be good, the risk though is losing out on gains in the market. There have been some great areas for gain this year and it’s key to take advantage of that in light of where the economy has been the past few years. Sounds like we’re on the same page Jason as we’re pretty much at that too. You’re right in that it works great with how the market has done this year. I couldn’t agree more. I think that’s why an investment plan needs to follow after you figure out what your risk tolerance is. That can help further protect against emotional decisions that could mess with possible returns. Brian and I are probably moderate to aggressive currently. Our stock holdings are not too risky, but we have a lot of real estate holdings. With our plan, our savings, real estate and stock holdings should balance out in a few years. Sounds like you have a good mix going. If I had the money I definitely would look more into real estate, especially with the current rate climate. I guess low to moderate. I have a while til I get til retirement age – but I’m fairly risk adverse,so I tend to play it fairly safe.. It is important to be sure that you’re not investing in something you’re not comfortable with. If it keeps you awake at night, then it’s not worth it in my opinion. I tend to be more conservatie. I guess I have spent lots of time with my grandmother who is used to the old days where money was stored under the mattress. I am getting a bit better with branching out though. I had the same experience with my grandparents as well. I imagine it has something to do with them going through The Depression. That’s great you’re getting more comfortable with taking on a little more risk. I am probably to agressive for my age. I still feel like I’m 25, so hard to rebalance. When I get to 40, I will probably have to readjust. I just don’t fear the market, even though my IRA went down a ton in 2008. What’s wrong with me? There’s nothing wrong with you at all Kim. Given what I am assuming your age range is, then being agressive is generally fine. I tend to be very aggressive too, because I have the luxury of time and I am willing to take on the risk to gain a better return. That said, many people lost a huge chunk of their IRA’s in 2008. The thing is though that the market has seen a decent return lately and many have earned back their losses. If we stay too coservative then we lose out on the possible gains. I like a lot of other commenter on this blog am a fairly aggressive investor. However since 2008 when the GFC hit, I have become far more considered in my investment decisions. I tend to do a lot more research and look for longer term value prospects. As I am still in my twenties (very late twenties) I feel like I still have plenty of time available should some of my investments not pan out as expected. My biggest issue is that I have set myself some challenging goals, which means that I really need to stay on top of things to meet them. I think that is key Glen, staying on top of your investments regardless of what your risk tolerance may be. I think the current climate has helped cause people to be a bit more in the know in terms of what their money is doing. I have an aggressive risk profile but so should any other 25 year old! 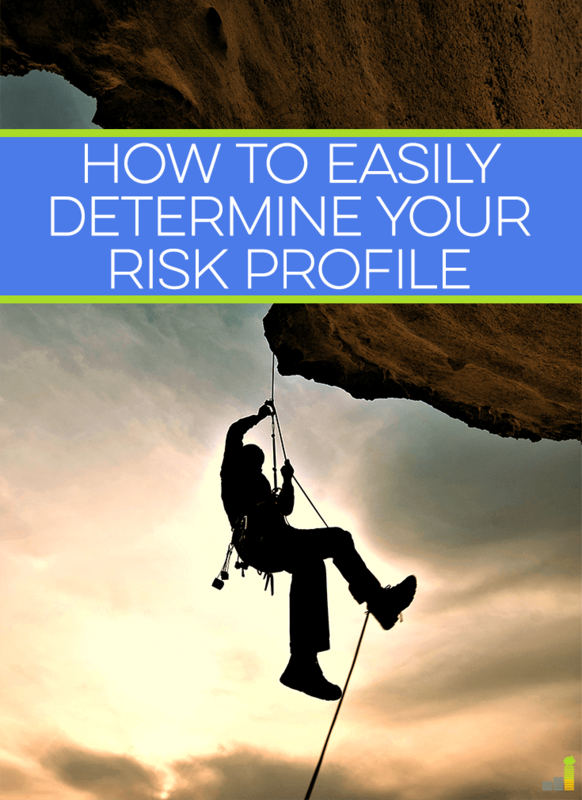 But it is really important to determine your risk profile early on and stick with it. You lose a ton of money when you realize you can’t handle the ups, or mainly the downs of the market later on and sell. I totally agree Harry. Finding out what you can stomach can help you save a lot of money in the long run. Given that we are in our 20s, we have a very aggressive profile! I think that it’s only sensible that this varies with age! I completely agree. Your perspective as an investor needs to change over time so you don’t run into having too little for your later years. Like most people commenting, I am also aggressive in my portfolio. This is OK for me, as I’m still young and with the FED pumping like crazy, it is a good place to be… In a few years I may want to move to a more conservative portfolio and wait for the next bubble to pop – then jump back into an aggressive mode again. We’ll see. Great point on the Fed Jason! I am interested to see where the next bubble is going to be & when it’s going to pop. Unfortunately, I lack the ability to see in to the future. 😉 In light of that, we should be cognizant of what’s going on in the markt and be ready and willing to act if need be. I would definitely say I’m middle of the road. Although lately I have’t been investing in ANYTHING! I hope that changes soon! Middle of the road can be a good place to be as you’re not opening yourself up to crazy risk, but at the same time getting some of the advantages of taking on some good risk. I’ve studied finance all throughout college and work in the financial services industry. My understanding of the markets allow me to have a high risk tolerance. I used to be invest 100% equities but the more research I read shows that an 80% equity/ 20% bond allocation is the sweet spot. The added risk of a 100% equity portfolio isn’t worth the limited increase in returns. I would tend to agree with you Don. With my background I also have a very high risk tolerance. We’re right around 90/10, give or take a few percentage points. I know bonds aren’t necessarily exciting, but they can provide some good returns.